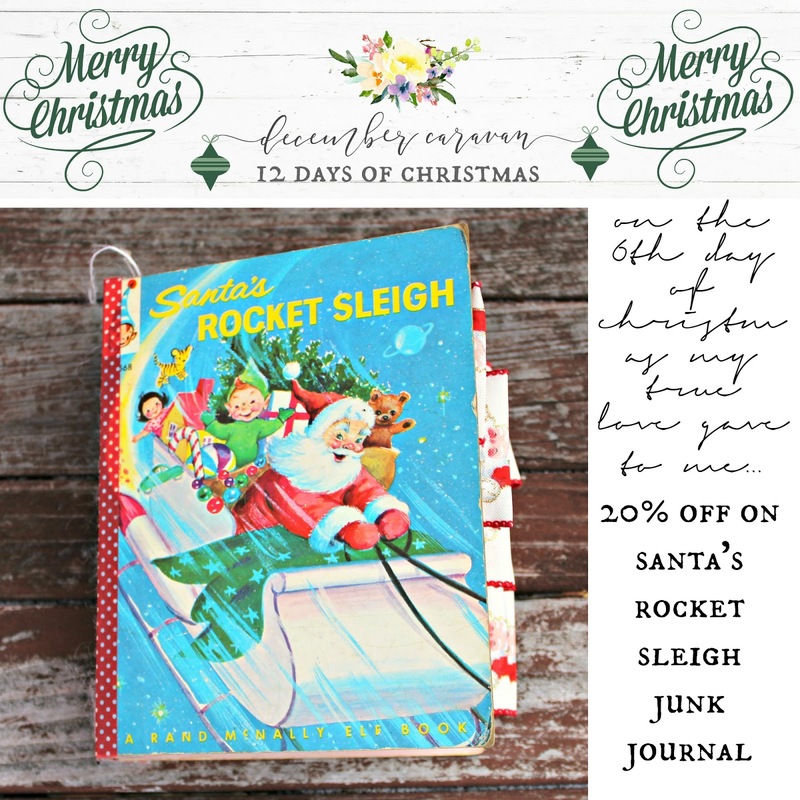 On the 6th Day of Christmas My True Love Gave to Me..."20% off Santa's Rocket Sleigh Junk Journal"!! This beautiful vintage (1957) Santa's Rocket Sleigh junk journal is a Christmas Lovers dream. With approximately 200 pages of quality and beautiful scrapbook paper, adorable vintage and modern embellishments and tags, original book pages, cards, ribbon (both vintage and unique modern) and pretty surprises, this Junk Journal will create a treasured keepsake for a lifetime and can be used throughout the holiday season and year. This Santa's Rocket Sleigh Junk Journal is THE perfect Vintage Santa Lovers' Dream! It will truly be a keepsake that will be treasured forever!! You can go directly to this listing that is on a special Christmas sale for today ONLY by clicking the link HERE! Happy Thursday friends!